John Gray, the son of a carpenter, and the first of nine children, was born in Bethnal Green, London, on 2nd March 1866. He left school at thirteen and worked as a metal-worker at the Royal Arsenal. He continued his education at evening-classes and at sixteen he passed a civil service examination and became a clerk in the Post Office. In 1888 Gray found employment in the Library of the Foreign Office. The following year Charles Ricketts (1866-1931) and Charles Shannon (1863–1937) established The Dial Magazine . Gray contributed an article on Edmond de Goncourt and a fairy tale, The Great Worm , in the first edition. Oscar Wilde took an interest in the magazine and soon afterwards met Gray. The writer Frank Liebich attended a dinner party in 1889 at which Wilde and Grey were present. Wilde fell in love with Gray. Richard Ellmann, the author of Oscar Wilde (1988), has argued: "Wilde and Gray were assumed to be lovers, and there seems no reason to doubt it." 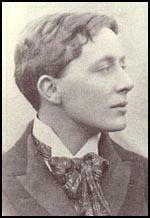 Wilde later described Gray as being: "Wonderfully handsome, with his finely-curved scarlet lips, his frank blue eyes, his crisp gold hair. There was something in his face that made one trust him at once. All the candour of youth was there, as well as all youth's passionate purity. One felt that he had kept himself unspotted from the world." A mutual friend, Lionel Johnson, said that he had the "face of a fifteen" year-old boy. George Bernard Shaw recalled that he was "one of the more abject of Wilde's disciples". The Picture of Dorian Gray by Oscar Wilde appeared in Lippincott's Monthly Magazine on 20th June 1890. The story tells of a young man named Dorian Gray (John Gray), who is being painted by Basil Hallward. The artist is fascinated by Dorian's beauty and becomes infatuated with him. Lord Henry Wotton meets Dorian at Hallward's studio. Espousing a new hedonism, Wotton suggests the only things worth pursuing in life are beauty and fulfillment of the senses. When Dorian Gray sees the portrait he remarks: "How sad it is! I shall grow old, and horrible, and dreadful. But this picture will remain always young. It will never be older than this particular day in June... If it were only the other way! If it were I who was to be always young, and the picture that was to grow old! For that - for that - I would give everything! Yes, there is nothing in the whole world I would not give! I would give my soul for that!" In the story Dorian's wish is fulfilled. Wilde was concerned by the suggestions that he was trying to promote an illegal act. He decided to turn the short-story into a novel by adding six chapters. He also took the opportunity to remove some of the passages that indicated that The Picture of Dorian Gray was about homosexual love. Wilde also added a Preface that was a series of aphorisms that attempted to answer some of the criticisms of the original story. This included: "There is no such thing as a moral or an immoral book. Books are well written, or badly written." 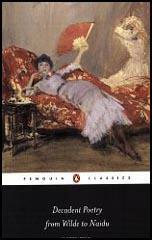 The amended version of The Picture of Dorian Gray was published by Ward, Lock and Company in April 1891. Again the reception was extremely hostile. Samuel Henry Jeyes demanded in the St James's Gazette that the book be burnt and hinted that its author was more familiar with homosexuality than he should have been. The only good review was by his friend, Walter Pater, in The Bookman. The country's leading bookshop, W. H. Smith refused to stock what it described as a "filthy book". Grays's first collection of verse, Silverpoints, was published in 1893. It included sixteen original poems and thirteen translations from Paul Verlaine, Stéphane Mallarmé, Arthur Rimbaud and Charles Baudelaire. This was followed by Spiritual Poems (1896) that shows him embracing the values of the Roman Catholic Church. In 1898 Gray moved to Rome where he studied for the priesthood. He was ordained on 21st December 1901. He served as a priest in Edinburgh at Saint Patrick's Church. He also developed a close relationship with Marc-André Raffalovich, a wealthy poet who was a priest at St Peter's Church in Morningside. John Gray died on 14th June 1934. To give the hero of his novel the name of Gray was a form of courtship. Wilde probably named his hero not to point to a model, but to flatter Gray by identifying him with Dorian. Gray took the hint, and in letters to Wilde signed himself Dorian. Their intimacy was common talk, for after a meeting of the Rhymers' Club about 1st February 1891, where Gray read and Wilde turned up to listen, Lionel Johnson and Ernest Dowson both alluded to it.... Wilde and Gray were assumed to be lovers, and there seems no reason to doubt it.